Custom moose shape bottle opener animal keychain easily makes you a winner in the niche because it symbolizes brilliance, toughness and urge to excel. It offers large surface area for marketers to act upon and offers benefits to customers as bottle opener and key hanger. It is perfect for attracting customers to zoos, holiday destinations, wild life reserves, veterinary clinics, pet supply stores and many more. 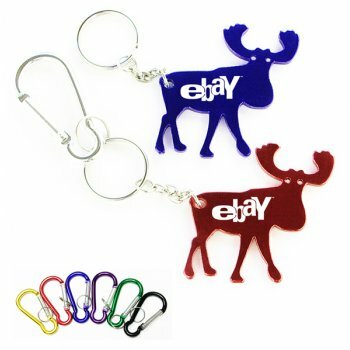 We offer attractive price savings on wholesale customized moose shape bottle opener animal keychain for the benefit of small budget marketers who wish to seek it for bulk gifting. Request a quote to know price savings on bulk orders of this customized moose shape bottle opener animal keychain. Features – Moose shaped aluminum body frame with metallic finish. 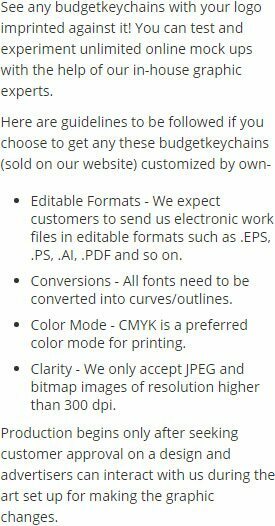 Product Size – 2 1/4" x 2"
Available colors - Metallic Red, Metallic Blue, Metallic Green, Metallic Gold, Metallic Black, and Metallic Silver. Imprint area - 1 1/4" x 3/8". Imprint Area :1 1/4" x 3/8"
Product Size :2 1/4" x 2"